Filter press pump selection is based on a various numbers of criterias; Chracteristic of liquid, temperature, acidity, viscosity and required pressure are some of them. City Filter Press supplies 3 main types of filter press sludge pump. 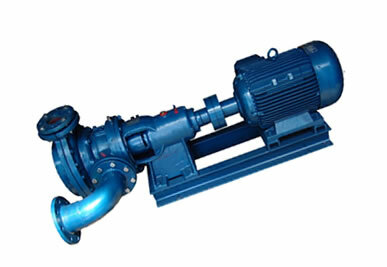 These are air operated diaphram pumps, monopumps and centrifugal high pressure pump. Air operated diaphram pump has multi purpose usage features and they have ability to tranfer luquid with high pressure which required for a efficent cake production. There are several types of diaphram pumps according to meterials such as plastic, stainless steel iron and aluminum. Inlet and outlet ranges from ½" to 3"
City Filter Press always pays the best attention to find the best sludge pump solution for its customers complex needs. Especially in food and pharmaceutical industries, stainless steel monopumps are suitable to transfer mellow liquids into the filter press with hygenic pump line. Also the ability to use electrical invertors, monopumps' flow amount can be controlled from electical panels without an extra air supply or compressor. Designed for high capacity automatic filter presses. Capacity 7,5-8 bar- 32 m3/h. Also piston type and gear type oil pumps can be supplied from City Filter Press.